Providing medical service to sick and ill people is a delicate process. Patient care should be handled by highly skilled medical professionals like nurses. The procedures in patient care are not simple. Most of them are complex in nature. People handling patient care should be careful and precise in everything they do. Many patients in hospitals do suffer from pain and injuries. Nurses should be able to enhance their management skills in handling pain and injuries of patient. They should be able to acquire advance pain management skills and proper handling of injuries. This is important so that nurses can efficiently help patients managed their illnesses and medical conditions. Another important skill that nurses need to develop is the efficiency in administering medications to patients. Nurses should be familiar of the different medicines use in treating patients. They must know the right dosage and the possible side effects of a particular drug. Respiratory management is a special skill that is important for a nursing professional. Nurses should be able to know the important procedures in handling respiratory related treatments to patients. 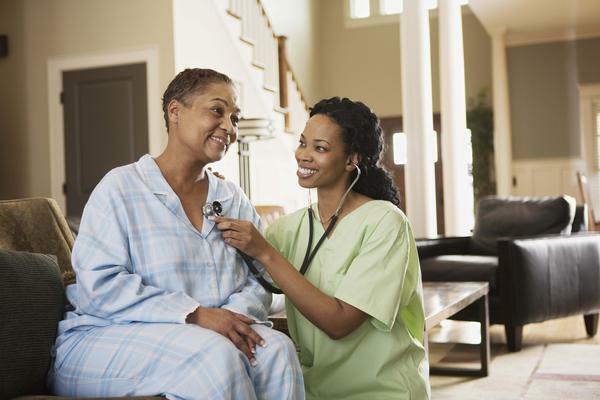 Nurses should also provide professional etiquette in delivering patient care to their clients. Aside from superior medical skills, satisfactory patient care also requires good interpersonal relationship with patients. Nurses must always remember to be courteous in approaching and talking to patients. Finishing a nursing degree is not easy. In fact, entering a nursing school and passing the admission test is already a big challenge to students. If you luckily pass the admission test and are allowed to enroll in a nursing school, the next thing you want to do is pass every subject in the course. Nursing subjects are different from other subjects in college. The topics and lessons in nursing subjects are focused on medical science, which are most of the time difficult and complicated. A freshman nursing student might find it hard to adjust in such complex topics and lessons. But with determination and some effective study habits you can pass the subject and get a degree in nursing. Here is a simple guide to help you adjust to RN classes. Listen to your professor and ask questions if you don’t understand the lessons. RN classes are often handled by teaching professionals who have expert knowledge in the field of nursing. They can provide you with important facts and principle that is useful to a nursing career. You want to listen carefully to your professor during your RN classes. Keep your focus to the nursing lessons the professor is teaching. Don’t hesitate to ask questions if some ideas and topics are unclear to you. It’s advisable that you take steps in clarifying any misunderstood lessons to help you have a clear understanding about the topic. Full understanding of the lessons in a nursing subject is key to achieving a passing grade on the exam. Tutorial classes can help you cope with difficult nursing subjects. You can join tutorial RN classes to help you earn a greater understanding about specific topics and lessons. Enrolling in a tutorial center can increase your chance of passing the course and acquiring good grades. Choosing the ideal school to earn your nursing degree is very important. The type of nursing school plays an important role in developing professional skills and knowledge needed to practice a nursing career. These Nursing Schools are the foundation of a person’s nursing ability to provide healthcare service to patients. On top of that, a lot of medical institutions opt to employ nurses that came from respected and prestigious nursing schools. You should be able to distinguish well which school to consider. Among the many nursing school offering nursing degree choose a school that have these qualities. This will be your quick guide in choosing the best nursing school in your area. The school’s Teachers and instructors are the front liners towards molding you to an efficient and well knowledgeable nurse. Some nursing schools have more qualified sets of faculty members compared to other. Choose a school that have high-credential faculty members on their list. A good indicator is membership in the National League for Nursing. You may want to belong to an educational institution that have earn the proper accreditation in the field of nursing. Accreditation Bodies like The Accreditation Commission for Education in Nursing (ACEN), The Commission on Collegiate Nursing Education (CCNE), The Council on Accreditation of Nurse Anesthesia Educational Programs (COA) and the National League for Nursing Accrediting Commission (NLNAC). An effective nursing education program may be measured on the number of nursing board passers a school have produced. It’s preferable that you choose a nursing school that has a high rate of board passers in five consecutive years. Schools that have high percentage of passing rate often maintain high quality of education. 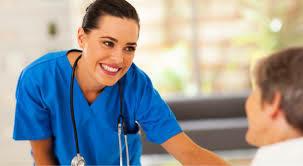 You want to have this kind of quality nursing education to mold you to a highly qualified nursing professional. One of the oldest and top industry in the world is the field of Healthcare. Each year hundreds of new graduates are added in the lists of healthcare professionals offering medial service to help the sickly. In order to be part of this highly respected profession, one must undergo proper education and training. Offering healthcare service is not easy as carpentry. In order to practice such profession people need to qualify and pass professional accreditation which can be difficult. If you are planning to have a career in the healthcare industry, it’s best that you seek the right educational institution. The school you choose can affect the level of skills you will have in the future. You may want to enroll to an institution that offers high quality healthcare education. Your choice of school can help have the right skills and ability to provide satisfying patient care in the future. Choose a reputable educational institution. The number of schools offering programs in healthcare has been increasing in the past years. This is due to the increase in demand for healthcare professionals. You should select an institution that has created a highly respected reputation in terms of giving high quality education. Pick the institution that produced a lot of successful healthcare professionals. The number of successful professionals from a school is a good indicator what kind of education you will be getting. You want to be educated in an institution wherein there is a high success rate among graduates. Choosing the right educational institution is a step closer to attaining your plans to having successful career in the field of healthcare. 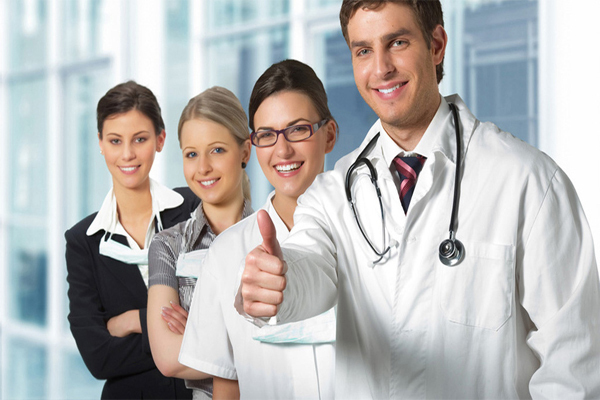 Given the education and training you have, you will surely pass any professional accreditation exams that is required to practice a triumphant healthcare career. Choosing a nursing school is an integral part of your career. There are a lot of considerations to take into account, like the distance of the school from where you live and the cost of the program. One thing to consider is the accreditation of the nursing school. Nursing, like some professions, has more than one accrediting agency. The university is either accredited by the National League for Nursing Accrediting Commission (NLNAC) or the Commission on Collegiate Nursing Education (CCNE). Let’s get to know the background of this accreditation agency. NLNAC was first created in 1893. When the new Higher Education Act made some changes in the accrediting requirements and processes, the NLNAC was not able to comply. This made way to the entrance of the CCNE in 1998. There are people who favor the NLNAC accreditation because it supports a larger mixture of institutional missions and therefore provides greater opportunities for students. Some say that it had an explicit standard addressing a program’s integrity, which the CCNE lacked. Having an accreditation basically controls the profession’s quality and standards. They are referred as gatekeepers to quality. Through accreditation, students will be guided on what program or school to choose, determining the more dominant program and the more competitive. The two accrediting agencies have their own focus and standards. Both have their pros and cons, but helps improve the quality and effectiveness of a nursing school. 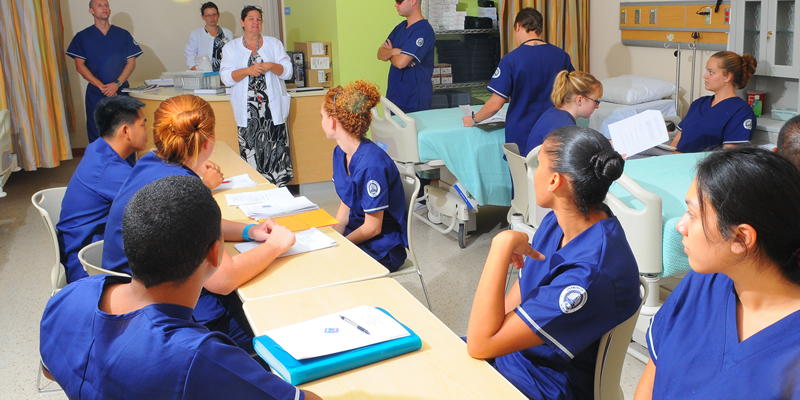 Accreditation is very imperative for the forthcoming nursing student when choosing an entry-level nursing program. In the U.S., all nursing schools must have a license and an approval from the state where it is located. There are certain requirements that must be met by the school to be accredited. Whatever accreditation the school will use, it will enhance the quality of its nursing program which will create more competitive nurses. Unaccredited nursing programs will gladly greet you, take your cash, and disgorge you into the job market where you will be at a serious drawback in comparison to graduates from approved programs. How does this work? State boards of nursing agree to educational institutions of nursing and have the power to shut down a nursing program. Their job is to protect the public, so if they are pleased that the university is doing an acceptable job of turning out certified, safe graduates who are passing the NCLEX at a good rate, they will agree to the program. This is done on a state-by-state level and approval is not the same as accreditation. Two bodies take care of accreditation in the United States: the National League for Nursing Accrediting Commission or NLNAC and the Commission on Collegiate Nursing Education or CCNE. These bodies make sure national requirements and reliability of nursing curricula and are available completely to make sure the reliability of nursing education across the country. They do not have the power to shut down a college of nursing, but they can take their accreditation to sanction the system. Why would a nursing university not be accredited? These organizations require master’s-prepared staff, and not all programs have enough teachers with this education, particularly programs for practical nursing staff. Accreditation is also expensive. The site visits cost the program money, as do the yearly account charges for the accrediting body. In addition, the university must often pay teachers for a longer period invested in planning for the visit by the accrediting body. And, of course, sometimes the university does not meet the national requirements established by the accrediting organizations for educational institutions of nursing. Most nursing programs that are approved by the National League for Nursing Accrediting Commission say so noticeably on their publications or Web sites. If the program you are looking at does not say anything about accreditation, that is a red flag and should immediate investigation work. Do not be shy about asking, either. You’re about to spend a lot of cash on your nursing education and you do not want to reach the finish line only to find that it did not really count for anything. If you are a potential student looking for the right nursing school, you should become acquainted with the various accrediting companies. These groups, which range in qualifications and objective, are your resource for discovering educational institutions that fulfill national requirements in education and allow graduates to sit for the NCLEX examination. Of these accrediting companies, one of the most essential is the National League for Nursing Accrediting Commission. This national company is dedicated to advertising quality in nursing education. The company looks at individual nursing teachers, providing possibilities for them to build their abilities and program with others in the area, as well as offers certification for NCLEX preparedness. In this competence, the NLNAC is a great resource for discovering programs that will prepare nursing staff to sit for the NCLEX examination and to get into the field of nursing once they successfully graduate and get certified. NLNAC is also essential in guaranteeing that nursing educational institutions are qualified to get government financing via student grants or loans; for example, unless a nursing program is identified by the NLNAC or the Commission on Collegiate Nursing Education, you may not be able to use FAFSA to help pay for your education. The NLNAC goes one step further, as well, by giving support to learners beyond the financial level. Schools can turn to the NLNAC for help with student guidance and recruiting, while learners can learn more about shifting their credits from one school to another. An accelerated Bachelor of Science in Nursing program allows students who have already gained a degree in another subject to fast-track their way to a profession in nursing. There are currently a few approved nursing educational institutions providing accelerated BSN programs on the internet for people who want to earn their degree without giving up their job or family obligations. Most of the programs are approved by either the Commission on Collegiate Nursing Education or CCNE or the National League for Nursing Accrediting Commission (NLNAC). The Accelerated Degree BSN program is designed for learners who already have a non-nursing bachelor’s degree. With this system, you could possibly finish your Nursing specifications in less time, usually in 12-20 months, based on your amount of work. Students will likely practice Science and Nursing subjects like nutrition, nursing care, clinical problem solving, nursing and health care ethics, nursing informatics, and more. Some classes and Nursing experiences can be quite extreme, but the accelerated BSN offers an eye-catching alternative for people who are interested in getting a degree more quickly. There are several educational institutions that offer the complete accelerated BSN online, which could be a great option for working adults who need a versatile routine to accommodate their work and personal life. Most educational institutions providing an accelerated BSN program do not need entry examinations, but do need the candidate to hold an active license and a strong educational record. Those looking for an accelerated BSN should choose a system that has been approved either by The National League for Nursing Accrediting Commission or NLNAC or by the Commission on Collegiate Nursing Education (CCNE). Some educational institutions may reject accessibility to a master’s program if the BSN is not from a properly approved Nursing program. The Commission on Collegiate Nursing Education (CCNE) and the National League for Nursing Accrediting Commission (NLNAC) are two of the most identified accrediting organizations in the country. They often identify qualifications for college student aid or career practicality. Economic aid organizations simply will not finance non-accredited nursing programs, and healthcare companies are not comfortable choosing graduates from non-accredited nursing educational institutions. To make sure nurses can find sufficient educational funding and secure a job, both the CCNE and NLNAC encourage tight specifications in a wide range of qualified programs. CCNE vs. NLNAC certification varies in the sense that the CCNE does not accredit LPN, Diploma, or ADN programs, while the NLNAC does. All baccalaureate, graduate and residence nursing programs working under CCNE certification do so according to nationally identified specifications. Medical certification, diploma and professional degree programs working under NLNAC certification do so using the same specifications. Contribution in both is completely non-reflex. The National League for Nursing Accrediting Commission is a supplement of the NLN and is accountable for all activities related to the certification of nursing programs. The NLNAC is based in Atlanta, Georgia. The NLN provides the Total Assessment Program (TAP) for NCLEX Success, an extensive testing services program for healthcare professional teachers, learners, and experts. TAP is a complete planning program to evaluate clients’ capabilities and accomplishments at the end of a nursing program, prior to entrance. The TAP program includes Pre-Admission Examinations, Achievement Examinations such as Practice Assessments and Remediation, Pre-NCLEX Preparedness Examinations, Live Review and Question Review Bank (QRB). Most nursing programs seek CCNE certification because it performs a critical role in the educational funding and career process. But this position is more than just a name. To maintain an approved position, nursing programs must adhere to a number of guidelines. And in an effort to make sure nursing programs adhere to those guidelines, the CCNE functions within a dedication to not only function within a set of particular objectives, but also expect specified results.